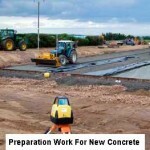 We use the latest Somero Copperhead Laser Guided concrete layer. 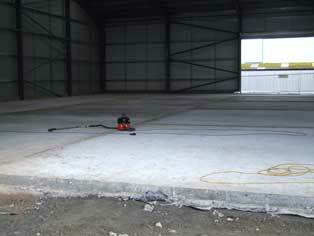 We also use a laser guided grader which lays the sub base to obtain the exact depth of concrete. 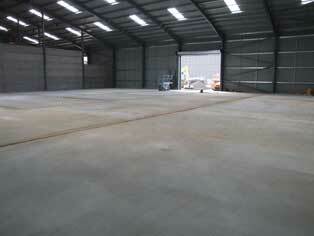 Because of our technology and expertise all floors are laid to exact depths of sub-base and concrete. 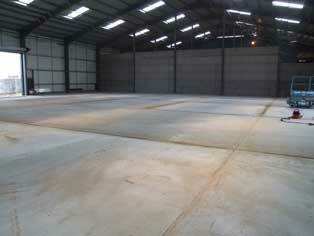 We were originally established in 1975 to construct farm buildings and roads. 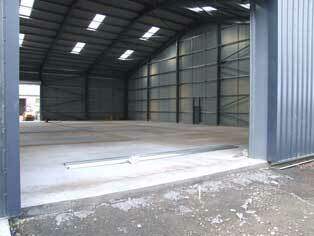 We provide building and civil engineering groundworks. 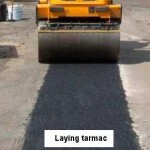 We undertake block-paving, tarmac, drainage, all ground works. We can carry out the complete job of laying a floor by taking away the top soil and building your floor as in the diagram. 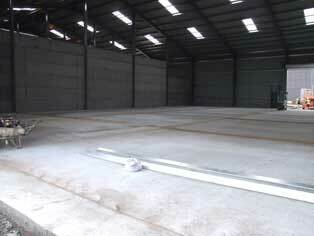 These slides show a high strength floor laid in a fertilizer Store at Simpsons Malt, Berwick upon Tweed. 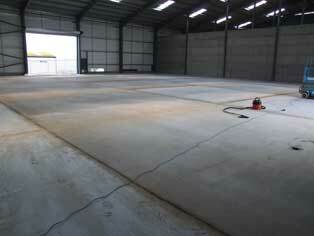 It is in a very aggressive environment, but fully compacted, floated and correctly cured will extend the life of the floor.